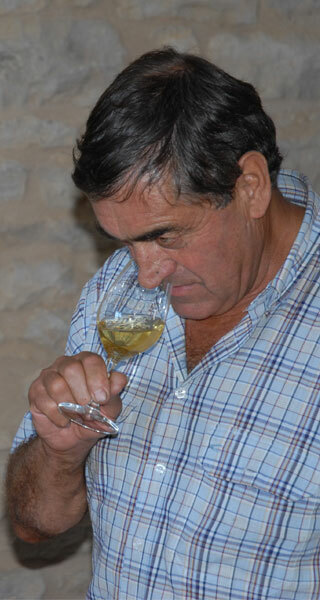 On May 27 2008, Jean-Gérard Guillot, the founder of the Domaine Guillot-Broux, passed away at the age of 63. His sons, Emmanuel and Patrice, tell his story. After some years working on his family’s vineyard, our father left to deepen his wine-making knowledge. 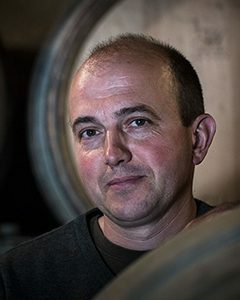 He first worked for several years at the Domaine de la Chanal in Brouilly in the Beaujolais, then at the Domaine Bernard Michelot in Meursault. In 1978, he returned to Cruzille, where he established the Domaine Guillot-Broux with our mother, Jacqueline (Broux is her maiden name). Our father was a winemaker, with a profound understanding of all that this encompasses: the soil, the vines, and wine. His work in the vines was balanced by another passion: reading. At night he would pursue his interest in history, on which he read avidly. Listening to him talk about the building of cathedrals, or about Celtic culture, was enthralling. He also loved hunting; not blind slaughter, but hunting with a deep respect for nature, with the knowledge that man is part of that nature, not separated from it. Above all, he loved his family: his wife, his children, his grandchildren, to whom he passed on his passion, his knowledge and his land. The aim of creating is passing it onto the next generation. We, Patrice and Emmanuel, run the domaine today with a team of seven employees. We have 17 hectares of vines situated in the three villages of Cruzille, Grévilly and Chardonnay, and have two appellations: Mâcon Cruzille and Mâcon Chardonnay. 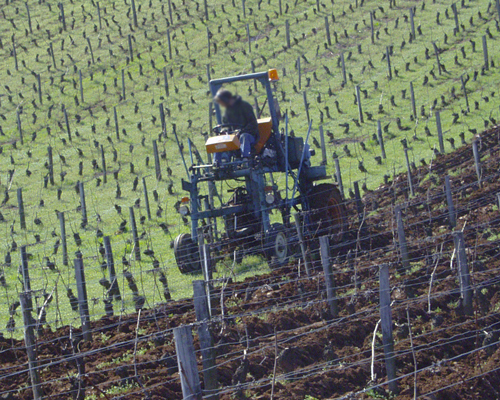 Most of the vineyards are on east-facing slopes on clayey limestone soil. The various geological formations give rise to different terroirs, resulting in strikingly different wines. The enchanting names of the vineyards – Combettes (little coomb), Genièvrières (place of junipers), Perrières (stony place) – stem from man’s observation and knowledge of the land hundreds of years ago. Many of these names are still found all over Europe, having been noted down by Cistercian and Benedictine monks. These are the names shown on the Napoleonic land register. 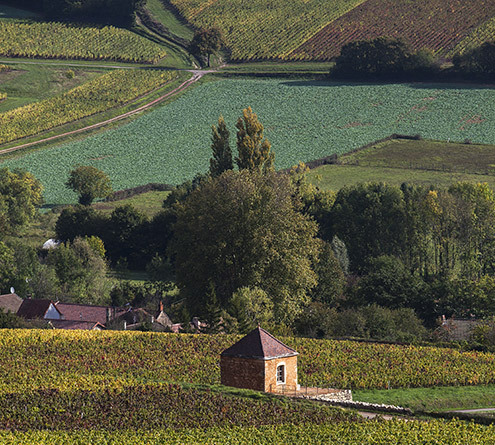 The domaine has been organic from the beginning, and has been certified organic since 1991. We plough, and use natural methods of fighting parasites, green manure, organic fertilisers (to feed the soil and not the vines), and mineral sprays with stable active molecules that leave no residues in the wines. Respecting the soil in this way allows the vines to absorb all the elements they need to be healthy and balanced, and thus, produce healthy, balanced wines. Disease in the vines is generally due to an imbalance in nature; we thus seek to maintain the right balance rather than treat the consequences. In 1954, our grandparents, Pierre and Jeannine Guillot, started the first organic vineyard in Burgundy. 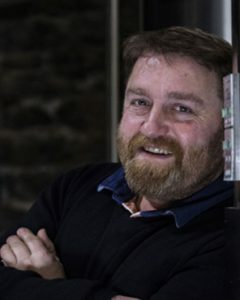 By conviction, and after meeting people such as Max Léglise, head of INRA (French National Institute for Agricultural Research) and author of several books on the subject, André Birre and Jules Chauvet, they set out on the great adventure of making organic wines. During the harvest, the grapes are handpicked, and then sorted in the vines before going to the winery. This allows us to pick only the healthiest grapes, with the right maturity. By controlling the yields, producing between 30 and 55 hectolitres a hectare, we are looking for quality rather than quantity. 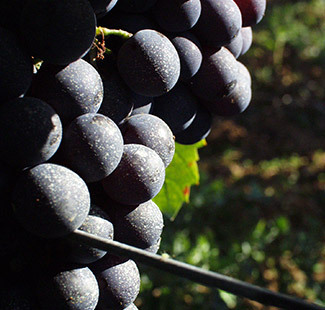 The high planting density increases competition among the vines and means that the juice in each grape is more concentrated. The key is to have few grapes per vine naturally, to increase the concentration of flavours and the balance of the wine. The pruning methods we use (Guyot Simple for the whites; Cordon de Royat for the reds) also help reach this goal. Each terroir is vinified separately, using the methods best adapted to the grape variety, the soil, the vintage and the age of the vines. The best single vineyards are then bottled separately, and only when the vines are at least 10 years old. If the vintage is not exceptional, we blend the single vineyards into the entry-level wines. We do not add yeasts to our wines, and the use of sulphites and chaptalisation are kept to an absolute minimum. The white wines, made from Chardonnay grapes, are pressed immediately, in order to avoid any changes in the nature of the wine. The juice goes down to oak barrels in the cellar where both the first (alcoholic) and second (malolactic) fermentations take place. Each barrel contains 228 litres (300 bottles). After the second fermentation, the wines are racked and either put back into barrels, in the case of the single vineyard wines, or into vats for the Mâcon Villages. 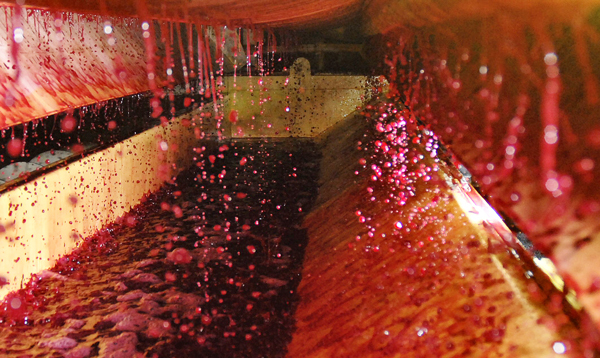 The red wines, made either from Pinot Noir or Gamay grapes, may or may not be de-stemmed, depending on the vintage, before being put into vats for the alcoholic fermentation. The fermenting grapes are punched down twice a day until fermentation is finished, which usually takes around three weeks. Then the wine goes down to oak barrels in the cellar where the malolactic fermentation takes place. Most of the wines are matured for eleven months in barrels. 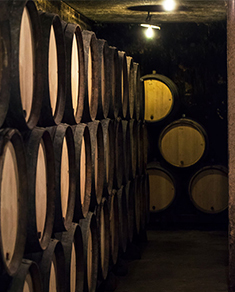 In some vintages, the top cuvees spend a second winter in barrels before being bottled, with no fining or filtering.